The most recent derailment reminds me of the double derailment at Bethesda several years ago. 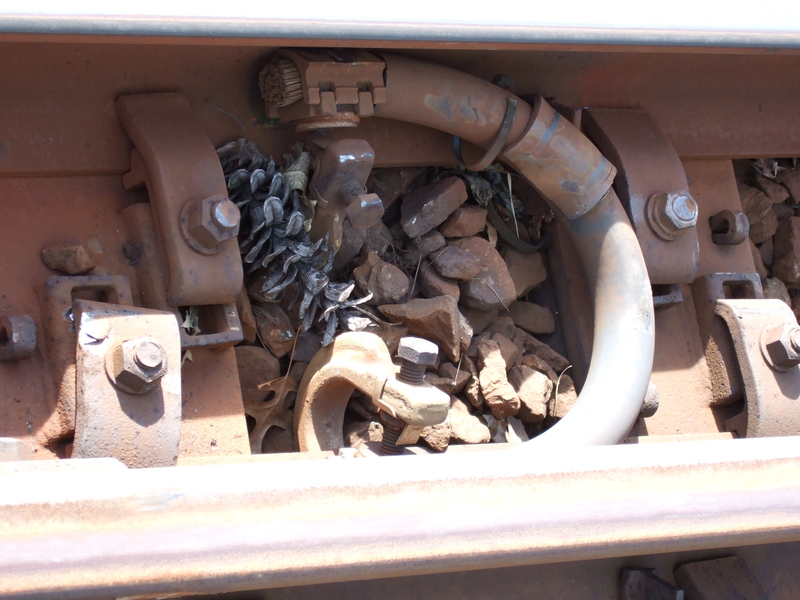 According to my coworkers, they found that approximately 20 feet of rail had badly corroded or misssing Pandrol clips due to water leakage in the tunnel. 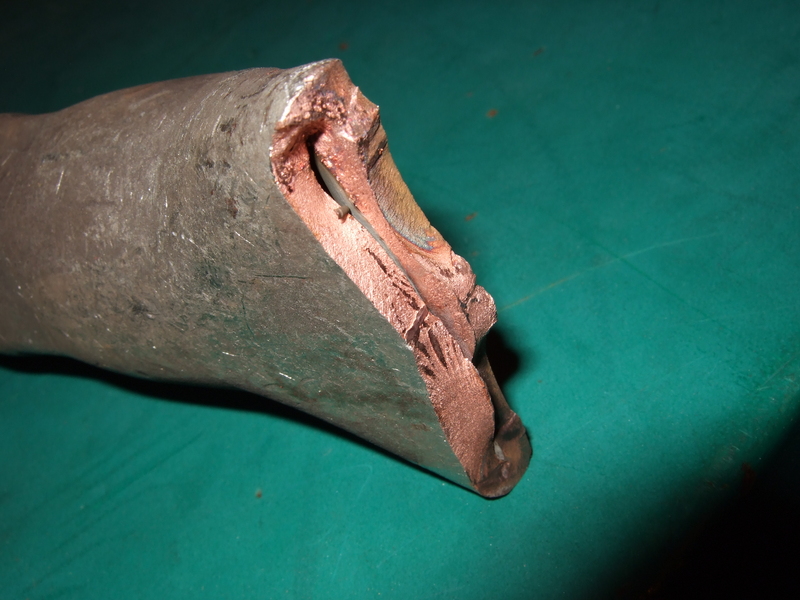 They reported this dangerous condition twice, and twice the ‘ticket’ was closed without so much as an inspection. 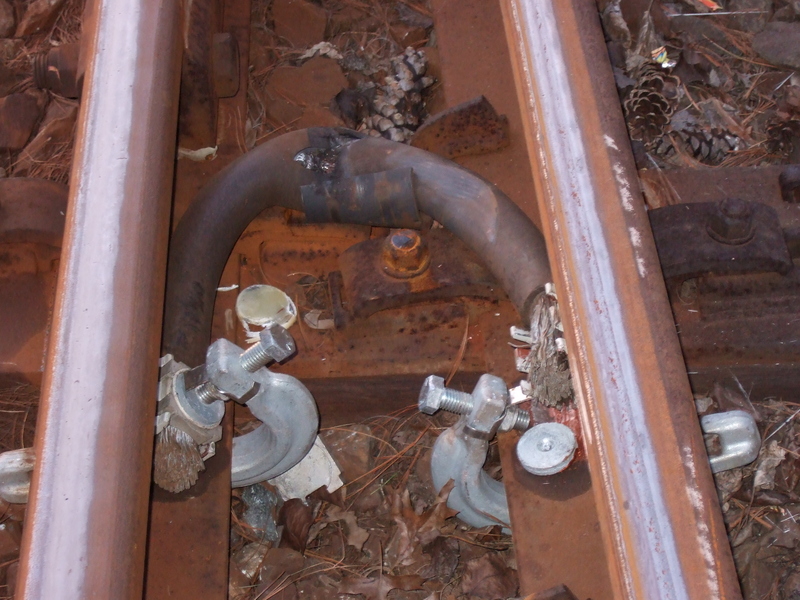 About two weeks after their last report, the rail broke free under a train and it derailed. Apparently no one thought to investigate the cause of the derailment so when the rescue train was sent from Shady Grove, it derailed also. Then two additional rescue trains had to be dispatched — one from each direction. All of that could have been avoided had my coworkers been taken seriously. That was (and I assume still is) a serious problem when I was an active employee — more often than not, when we reported problems — whether it was with track equipment or security issues or HVAC equipment — we were ignored. Work orders were routinely closed without any work being done. It was very frustrating, and sometimes dangerous. Today, January 26, 2012, is the two year anniversary of the completely avoidable and incredibly tragic accident that killed my former coworkers Jeff Garrard and Sung Oh. To the best of my knowledge the NTSB _still_ hasn’t released an accident report. Ordinarily it may take the NTSB up to one year after an accident to complete a report, but they were investigating four (4) deadly accidents at Metro simultaneously so my coworkers and I expected that it might take a few months longer than usual — but two years?! The NTSB report on the June, 2009, accident was released in July of 2010, a full year and a half ago. At the very least, the widows, family, friends, and coworkers of Jeff and Sung have the right to expect that their deaths will be treated as seriously as any others. The NTSB report is necessary if we are to learn anything from the accident that killed them. If the NTSB does not release their report very soon, I would not blame the widows, family, friends, and/or former coworkers of Jeff and Sung if they began to think that there is some sort of collusion between WMATA and the NTSB — some sort of cover-up. I have no reason to suspect that but how else to explain a two (2) year delay (and counting) between the date of the accident and the issuance of the NTSB report? Jeff and Sung will not be forgotten by those who knew them and worked with them. My hope is that WMATA, Local 689, and the transit industry in general will learn from the NTSB report and as a result the lives of others will be saved. Rest in peace Jeff and Sung. I’m glad to see that after over 2 1/2 years Metro has finally done the right thing and admitted liability for the June 22, 2009 wreck — even if it was for legal expediency. It is unclear to me why Ansaldo, ARINC, and Alstom share legal responsibility for the wreck. I imagine that any company with deep pockets that was even remotely connected to the wreck was named in the lawsuits, but all of the publicly available information as well as what I am aware of as someone who was an Automatic Train Control (ATC) tech at the time indicates that Metro was almost entirely at fault. As horrific as the June 22 wreck was, I’m concerned that it may be overshadowing the multiple other accidents in which only Metro employees were killed. I’d like to know why the NTSB hasn’t released a report yet regarding the January 26, 2010, accident that killed two of my former Metro coworkers in ATC — Jeff Garrard and Sung Oh. It is apparently common for NTSB accident reports to not be released for months after an accident, up to a year in some cases, but Mr. Garrard and Mr. Oh were killed over two (2) years ago. Where is the coverage of the accident that killed them? They were run over by a “hi-rail” truck that was being operated in reverse. Metro specifies that their hi-rail trucks shall have _no_ backup alarm while on the rails (the alarm is only operational when the truck is off the rails). I have yet to hear an explanation for this. Had Metro instructed the truck equipment mfr to make the alarm operational at all times, Mr. Garrard and Mr. Oh would almost certainly be alive today. The lack of a backup alarm is only one of several issues that led to their deaths, but it is one of the most concrete and hard to refute. Will WMATA own up to their gross negligence and liability in that accident as well? Will the families and/or widows of the deceased Metro employees receive multi-million dollar settlements? The answer is no. Many people do not realize that if a worker who is covered by Worker’s Compensation (WC) insurance is killed on the job — even if it is due to gross negligence and/or recklessness on the part of their employer — their family/estate cannot sue the employer! Carrying WC insurance protects employers from lawsuits — all injuries and deaths become essentially ‘no fault’ events. If a worker is injured due to their own carelessness, WC can be beneficial — but if they are killed on the job, their family will likely receive less from WC than a person who breaks their arm on Metro property will receive in a typical lawsuit. Remember — by accepting employment with an employer who carries WC insurance (almost all do) you are forfeiting your right (or your family’s right) to sue if you are injured or killed on the job — even if your employer was clearly at fault. Let’s hope that Metro admitting liability for the June 22 wreck is an indicator of how they will handle the multiple accidents in which employees were killed. Basic fairness requires that Metro should pay the same amount regardless of whether the person the Authority killed is a passenger or employee. Fatigue due to excessive overtime (OT) is in the news again. This is a safety related issue and should not be used as leverage in the contract negotiations. It is management’s responsibility to do the right thing and follow the advice of the Tri-State Oversight Committee (TOC). To do otherwise is tantamount to announcing that WMATA will raise the acceptable blood alcohol content (BAC) level if Local 689 will agree to a lower pay increase or some other concession. Occasionally?! In Automatic Train Control (ATC) and other departments it is _routine_ for employees to work a double (16 hours straight). Frequently employees will work two or more doubles in a row. There is no reason that it must take almost 2 1/2 years for the changes to be made. That’s ridiculous. In previous posts I’ve suggested that employees be limited to no more than 12 hours in any 24 hour period, and/or that they be allowed to work 16 hours as long as that’s followed by an 8 hour break _and_ either a regular 8 hour shift or a day off. 8, 12, or 16 hour shifts make the most sense logistically. They either divide evenly into 24 hours or add up to 24 (8 + 16). 14 hours is an odd amount of time. I suppose employees could be routinely scheduled for 12 hour OT shifts (either all OT or 8 regular + 4 OT) and then held over up to no more than 14 hours when absolutely necessary. This should be interesting to watch. My guess is that neither the union nor WMATA want to cut OT hours. The union because there are many members who have come to rely upon OT — to pay their bills and/or to boost their ‘High 4’ (to increase their pension benefit). WMATA because it is cheaper to pay OT than to hire additional employees. I doubt either side will be able to fool the other. Both would like to maintain the status quo. I’ve written about the very serious problems caused by employees working too much overtime (OT) several times before — here, here, here, and most recently here. I’m sure Downey meant to say, “_Like_ somebody who…”. Needless to say, I hope something comes from this but I’m not holding my breath. I’ve suggested that one compromise might be to limit consecutive OT shifts to 12 hours, and allow 16 hour shifts followed by no more than a regular 8 hour shift the following day. So for example, an employee could work 12 hours/day, 7 days/week, or they could work 16/8/16/8/16/8/16. That would allow either 84 hours/week or 88 hours/week. That should be enough for all but the greediest OT hounds, while making the system safer for employees and passengers. There is a positive story over on Unsuckdcmetro written by a guy named Chad who got so fed up with Metro that he decided to begin biking to work. He ended up losing 50 lbs and just completed an IronMan distance triathalon. 1) How do you deal with showering and changing clothes before work? 2) I’d like to walk/bike to work but I live too far away. Most of those that live far away do so because they think they are saving money (rents are higher in D.C. than in the suburbs). Does living far from the city really save money? I can understand people who grew up in the suburbs or exurbs (or moved there years ago) deciding to ‘grin and bear it’ (the commute) — they might have family in the area, kids in school, ties to the community, etc — what I really don’t understand are people who take a job in the D.C. area and then buy or rent a place in say Frederick County, MD, or points north and west –Washington County, MD, or even PA or WV, knowing they are going to have an epic 3 to 4+ hour round-trip commute every day. That’s insanity. They may think they’re saving money, but by the time one figures the cost of commuting, not to mention whatever value they place on their time away from their spouse and/or family, and the stress and risk involved, there’s just no way it’s worth it. Not even close. Most people apparently do not value their time much at all (unless they are at work, then of course they want to be paid for every minute) and they think the cost of driving is just the cost of gas. That’s not even half of the cost! The April 2011 CR Auto Issue lists the cost per mile of a range of cars. The _cheapest_ is the Honda Fit at $0.44/mile. The most expensive is the BMW 750Li @ $1.81/mile! An ordinary Chevy Impala is $0.69/mile. That’s for the first 5 years when there is a lot of depreciation, so it’s possible that the cost/mile would go down some if a person kept their car until it had say 250K miles on it. Then again, while older cars don’t depreciate as much as new cars they need more repairs and maintenance. In any case, let’s say it’s $0.50/mile (IIRC, that’s about what the IRS allows in some cases). For many people who live in outlying areas, it’s common to drive 100 miles per day. 100 miles a day = $50 per day! With 22 work days per month that’s $1,100 per month — in after tax money. It’s even more if they ride Metro, which can easily cost $12-$14+ per day for parking and a round-trip ride. So that “cheap” house or apartment miles from the city isn’t so cheap after all. $1,100 after taxes is the equivalent of at least $1,500 before taxes. That means that if a homeowner has a newer mortgage that is almost entirely deductible interest, they could afford to spend $1,500 more per month for a house near where they work! $1,500/month!! A renter would have $1,100 extra per month. That is counting _nothing_ for their time. Nothing for the reduced stress, aggravation, and risk to their life of commuting.